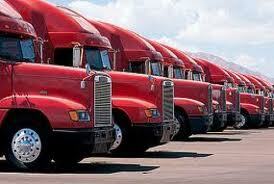 A UPS logistics truck fleet ready for despatch. City logistics – one of 10 research ‘lenses’ proposed by the Australian Urban Research Infrastructure Network — will be ignored for at least the rest of AURIN’s funding term (finishing mid 2014). AURIN’s decision follows its receipt of a November 2012 scoping report which concluded that data would be difficult to obtain from major freight companies. The report clarified that while some general datasets can be obtained from public sector agencies, commercial freight companies are holding more detailed and essential information, including types of freight and vehicles, load weight, delivery routes, and times and places for both pick ups and drop offs. Although the report included one letter of general support from logistics company Linfox, most other companies said they would be reluctant to share their information (even anonymously) for commercial-in-confidence reasons. Some years ago, NICTA was researching freight and logistics at Melbourne’s Westgate Ports with Westgate’s then CEO, Michael Haines, who is now the CEO of VANZI Ltd – a private company aiming to broker development of the Virtual ANZ vision. AURIN is understood to have paid the NICTA-VANZI team $A800K to fund the urban kogistics scoping study.